By now, you MUST have heard of BitCoin. Decentralized digital money. It’s origins shrouded in mystery, BitCoin is the loose currency canon that is threatening global monetary systems, confounding financial analysts, and exciting markets with the promise of a true world-wide economy…unencumbered by boundaries, bills, or banks. Traditional news outlets have finally picked up on the trail of BitCoin. Mostly because one of it’s high-profile exchanges — Mt. Gox — folded. Any time millions of dollars and thousands of investors are left in the lurch, it makes headlines. The real question is whether, when, and why you would want to accept BitCoin as payment for your freelance Voice Over services. Is there an advantage to that? How hard would that be? How does it work? Who would even want the pay you in BitCoin? Hence the reason I write this blog today. As far as I know, I’m the first voice-actor to offer to accept BitCoin as payment for voiceover services. I do that, because I think BitCoin is something to keep your eye on. The total number of merchants around the globe accepting BitCoin recently tripled to 3,000 (Source: CoinMap.org, Jan 2014). 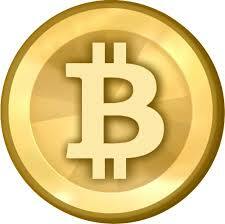 More major retailers are poised to accept BitCoin. Several resorts in Las Vegas already do. Yet, so much uncertainty, intrigue, and ignorance exists surrounding BitCoin, that the questions I pose about whether you should consider BitCoin as payment — may be entirely premature. I own ONE BitCoin myself. I refuse to say how much I paid for it. That’s OK, because the decentralized software system that controls BitCoin releases new currency into the supply every 10 minutes, until a maximum of 21 million BitCoins is reached. Anything that is coveted, and yet limited, will rise in value. At least that’s what I’m banking on in the long run. HOW to accept BitCoin? Surprisingly easy. You’ll need to open an account with a Merchant Solution. I’m using CoinBase, but there are many. You can usually accept payment through a SmartPhone or Tablet app. Most merchants choose to have that payment converted to US Dollars and sent to the bank connected to your merchant exchange. This website explains accepting BitCoin as payment better than I ever could. Now all you need are a few clients who are willing to pay in BitCoin, and you’re off and running. Oh, and don’t think this system bypasses the IRS…it doesn’t. Below is an interesting SlideShare presentation with more information about BitCoin that you’ll probably ever need.